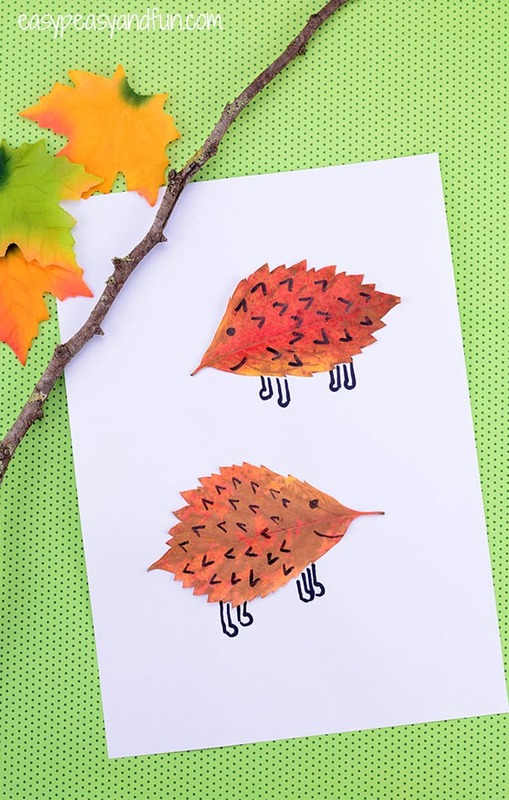 As leaves are already (heavily) falling from the trees we though it would be fun to get crafty with them and make this leaf hedgehogs craft. 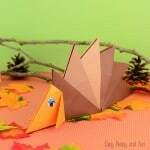 We’ve been really into hedgehogs here lately, we already did a pine cone hedgehog and an origami one! 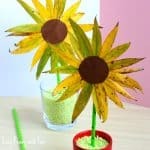 Crafting with nature materials is fun and crafting with leaves is twice as great as you can take this opportunity to teach the kids about different kinds of leaves. 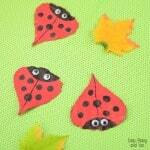 First make sure your leaves are really dry as they will wrinkle afterwards if they are not. 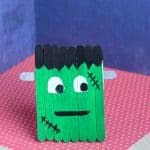 Draw the hedgehog spikes and head details on the leaf and glue it down on the white paper (stick glue and white glue are both great choices for this craft). Draw the little legs. All done! Can’t get enough of hedgehogs? 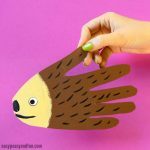 Try folding this origami hedgehog or if you have a total origami beginner at your hands you might give these origami owls for kids a try. 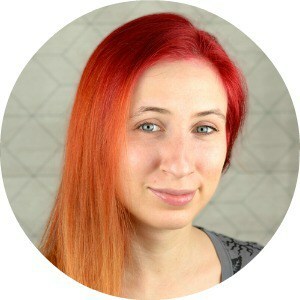 Care for another forest animal? Why not make toilet paper roll foxes. 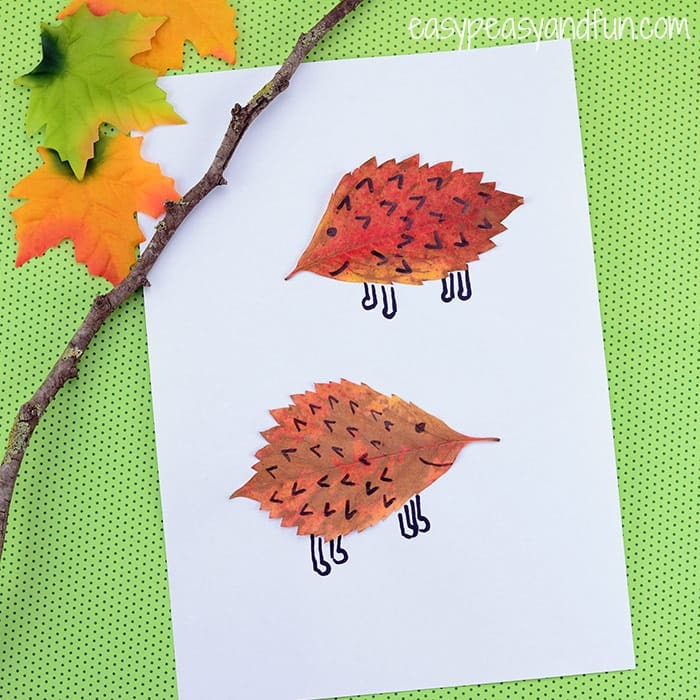 We want to try doing some leaf hedgehogs.They are so darn cute! 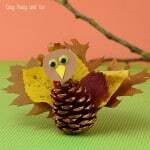 Thank you for the great ideas for fall crafting.